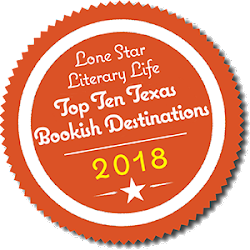 “I’m so honored that FIREFLY was chosen to be featured as 2013 BIR over at Nicole's lovely blog: Books Complete Me!” Belle Whittington said. “There’s no greater compliment a book reviewer can pay an author than to say her book is one of the best one’s the reviewer read the whole year. Wow!” I bet you’re thinking you wish you could see what all the buzz is about, don’t you? Well, there are two options for you right now! 1. You can pop on over to Amazon, B & N, Smashwords, or CreateSpace and purchase a copy of Belle’s books. They are both on sale right now! 2. You can pop on over to Books Complete Me book blog, check out Nicole’s interview with Belle’s main character Blair Reynolds, and ENTER TO WIN A COPY OF "FIREFLY"!!! Happy Holidays from Belle Whittington! Click Here to Download Firefly! In the battle against the vampiric Ticks, humanity was slowly but certainly headed for extinction. For months, twin sisters Lily and Mel had been “quarantined” with thousands of other young people being harvested for their blood—food for the Ticks. Finally escaping with a few friends, the twins are separated—and must continue the fight on their own . . . After making it to a resistance base camp in Utah, Lily learned to survive at all costs. But when a Tick attack decimates the fighters, Lily and her pregnant friend, McKenna, decide to make the hard trek north to Canada—and safety. Meanwhile, Mel is being taught how to survive by the very vampire that turned her. Living without her sister is hard, but dealing with the fact that her autism was cured by the vampire bite is an even bigger challenge. But when a monstrous betrayal places Lily in mortal danger, Mel must set out to find her, save her, and begin to unravel the empire of destruction that the Ticks have built. my brain faster than I could process them. I LOVE, how Ms. McKay gives us three separate and distinct points of view in this story; Lily, Mel and Carter. I know some readers do not like this, but I thought she pulled it off beautifully and it really allowed me to get to know the characters better and to feel and see what was happening to them as it was occurring in the story. The ability to do this made me feel very engaged with the plot. point of view. It helped me to understand his decisions and actions a little better than I did in the first book. It helped me not to judge him too harshly for his mistakes; he is after all an 18 year old boy tasked with dealing with insurmountable odds. I liked Lily’s snark and spirit in the first book, but I loved her even more in this one. She opens up more and shows her vulnerability with Carter and also becomes more trusting of him. Even though they don’t always agree, there is a definite trust built between the two of them that was missing in the first book. Two other things I love about Lily is that the word “quit” is not in her vocabulary and she never backs away from a fight. She is not a maiden waiting for the hero to swoop in and rescue her, she’s fighting right there beside him, holding her own! with this story is waiting until next year when the last book comes out!! to just not hang up on him then. “Okay, genius, what do you want to do now?” Ely asked from the driver’s seat. “I’m thinking.” But they were out of options. “Okay, smartass, what ideas do you have?” Lily demanded. to Lily like she was waiting for a bomb to go off. My vision cleared just enough for me to realize what I’d done. I lowered my friend to the ground. Ely just stood there for a moment with his hands raised in a palm out gesture of innocence. “What the hell, man” I didn’t answer the question. Instead I jammed a finger in his face. Emily McKay has been reading romance novels since she was eleven years old. Her first Harlequin Romance came free in a box of Hefty garbage bags. She immediately fell in love with the genre and has been devouring them ever since. In her spare time, she loves to garden and cook … well, bake. Mostly cookies. Naturally, she still loves to read a good romance. She’s been blissfully married for eleven years. When they can ditch their five pets for a couple of weeks, she and her husband like to travel to exotic and exciting locations like Greece, Costa Rica, and Ignorant Flats, Texas. She has a degree in English from Texas A&M University. After college, she taught middle school for four years. While teaching America’s disenfranchised youth to appreciate fine literature, she learned very little about writing romance but a lot about finding humor in any situation. Eager for a job where she wouldn’t have to dodge spitwads, she fled the teaching profession to write full-time. Though her characters sometimes misbehave, they almost never throw things at her.